Now is your chance to take a couple of brand new models out on the trail for and put them through their paces and shred for a full day. 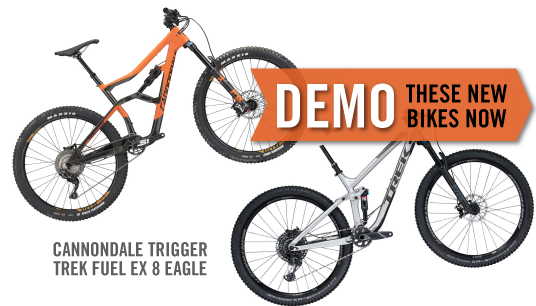 Get to know the Cannondale Trigger and the Trek Fuel EX 8 Eagle, both new models from these brands. For just $50, you can take all day to really get to know a bike. If you buy a bike—any bike—the $50 is applied to the purchase. TheTrigger is pure, full-throttle descending mojo served up with a side of serious all-day pedalability. Co-developed with Fox, Its Gemini shock system adds two ride modes (Hustle & Flow) to the killer performance of Fox shocks. Flip to Hustle to shorten the travel and ramp up the spring rate for a snappier, more responsive feel for pumping through turns, sprints and traction-challenged climbs. Flip back to Flow for full Fox travel when things get rough. Trek's tweaks in geometry and components made it a bike of many personalities. 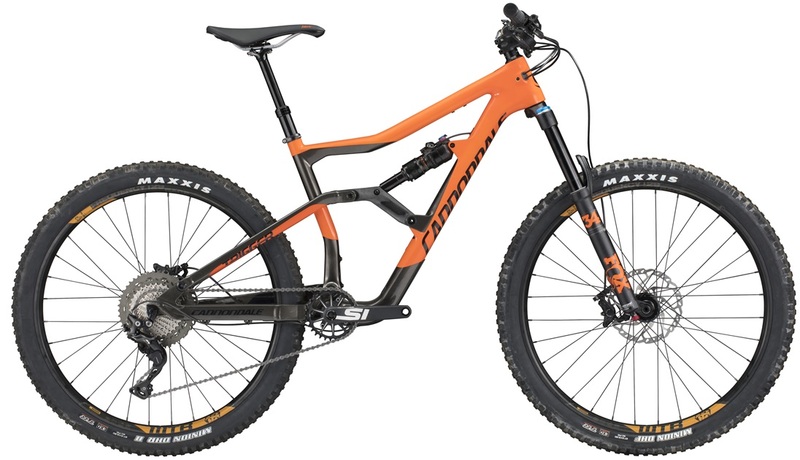 A plush feel with excellent cross country abilities, it can still crush nasty terrain and descend confidently at blistering speeds. The SRAM Eagle group is loyal and a must for extreme climbing. Come by, call 512 473-0222 or email us to learn more about these bikes and demos.